Thanks a lot for updating us about Shiverfest event information such as details of time, event and location. So anyone can easily get details of event specially those people who want to be a part of this event. You can also seek information and explanations on topics that you don't feel comfortable in from assignment experts available to you 24x7, this saves your time as well, given the fact that you do not have to search for people and waste time in doing so. Nice to getting here Shiverfest event information which is all about Mite jamboree hockey tournament, Burdick & bill Jerome Arenas and frosty Quilt show. 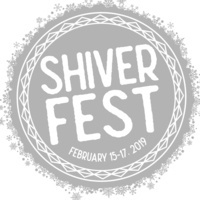 Good to find this Shiverfest event information which is just after the day of Valentine at Devils Lake which is going to celebrating the 19th annual event.